"1960s lost photo" by Clare Bryant. drawing with pen and watercolour pencil on aged paper. Curious artist Clare Bryant is experiencing great success and receiving warm commendation for her most recent illustrations. Her work was primarily for her solo “Love and Breakfast,” however sales continue after the solo ended. 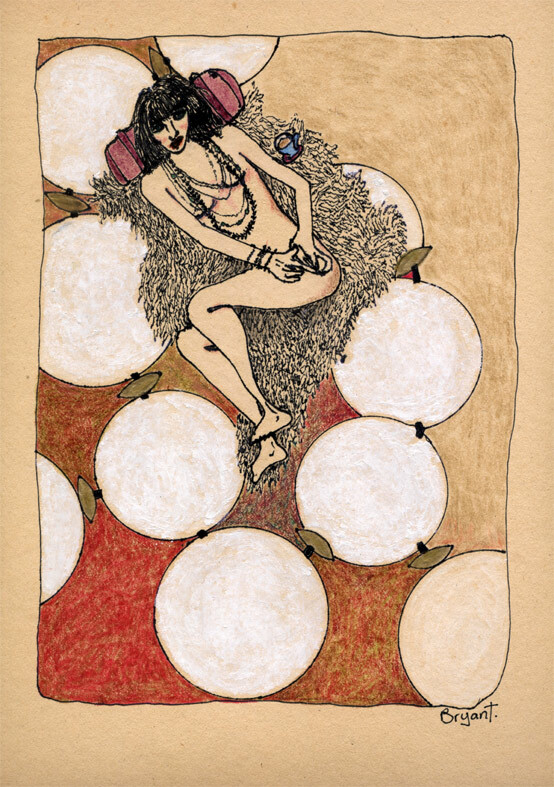 Today her original drawing in pen and watercolour pencil on aged paper “1960s lost photo” was sold to a fellow artist. This is high praise indeed. Current exhibition “Out Of Time” features all Curious Artists. The current exhibition is titled “Out of Time” featuring Clare Johnson, Joanne Cutler, Joscelin Davis, Michael Bryant, Ness Bryant, Larraine Bryant and Clare Bryant. different degrees by each one of us. It ticks on as I write. husbands, sons, daughters, grandparents, aunties and individuals. Sometimes we may be out of sync, out of time. Just keep moving. Time in Curious Art art is never wasted. We look forward to seeing you soon! With the ending of Clare Bryant’s “Love and Breakfast” exhibition this afternoon, we will see a new exhibition arranged and hung titled “Out Of Time.” “Out Of Time” will replace what would have been “Owls and Prayerbooks”, Vanessa Bryant’s solo. 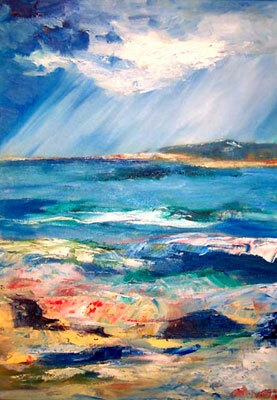 We hope to have Ness’ postponed solo in 2012 with her inimitable oils and watercolour works. “Out Of Time” will represent every member of the co-operative: Joanne Cutler, Larraine Bryant, Clare Johnson, Joscelin Davis, Clare Bryant, Vanessa Bryant and Michael Bryant. Sadly at this time we say goodbye to Dianne Smith who has been a member and generous contributor to Curious Art for years. She has taken breaks in the past so perhaps we shall have her as an active member once more in the future!